India remained the 12th largest overseas holder of such securities, just behind oil rich Saudi Arabia, whose holding stood at $ 147.4 billion in December 2017. India's exposure to US government securities rose sharply to a high of $ 144.7 billion at the end of 2017, according to latest official data. The country remained the 12th largest overseas holder of such securities, just behind oil rich Saudi Arabia, whose holding stood at $ 147.4 billion in December 2017. 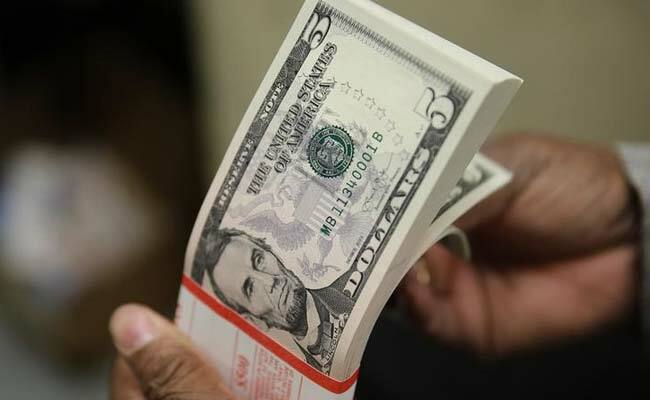 Figures compiled by the US Treasury Department show that the holding of India went up to $ 144.7 billion in December last, an increase of little over $ 26 billion compared to the year-ago period. In December 2016, the exposure was just $ 118.2 billion. While holding at the end of December is at a one-year high compared to December 2016, the exposure was slightly higher at $ 145.1 billion in September 2017. In 2017, neighbouring China was the largest holder of US government securities with holdings to the tune of $ 1.18 trillion, followed by Japan at $ 1.06 trillion. At the third position was Ireland whose exposure rose to $ 326.5 billion. As per the data, Cayman Islands was at the fourth position with holding worth $ 269.9 billion, followed by Brazil ($ 256.8 billion), the UK ($ 250 billion), Switzerland ($ 249.6 billion), Luxembourg ($ 217.6 billion), Hong Kong ($ 194.7 billion) and Taiwan ($ 180.9 billion). Among the BRIC countries, India had the third largest exposure while that of Russia was lower at $ 102.2 billion. Earlier this month, preliminary data from the June 2017 benchmark survey of foreign portfolio holdings of US securities showed that the total value of such holding was $ 18.44 trillion. Out of the total, $ 7.19 trillion was in equities, $ 10.29 trillion in long-term debt securities and $ 954 billion in short-term debt securities.